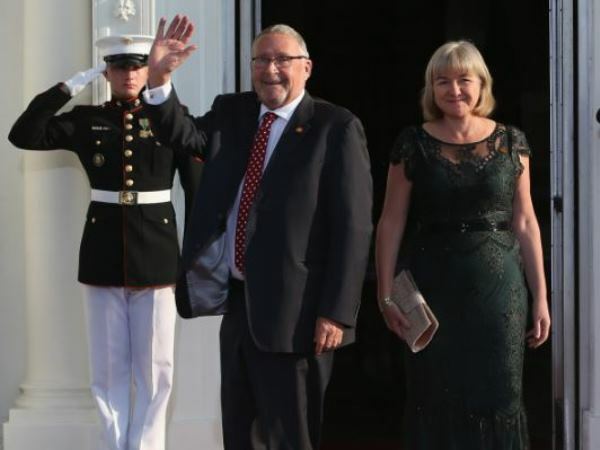 Zambian Vice President Guy Scott was named acting leader Wednesday following the death of President Michael Sata, making him Africa's first white head of state since South Africa's FW de Klerk. Defence and Justice Minister Edgar Lungu said Scott would occupy the office until a fresh election is held, likely to be within 90 days. "Dr Scott will act as president of the Republic of Zambia until the country goes for a presidential by-election" said Lungu. Sata died on Tuesday at London's Edward VII Hospital of an undisclosed ailment. "The government remains intact and so does the Patriotic Front as a party. We shall update on each decision made in this regard," said Lungu. However Scott (70) is not eligible to become president because of foreign parentage rules in Zambia's 1996 constitution. Scott's parents are from Scotland. The interim president is known for his undiplomatic candour, once branding South Africans as "backward" and the Indian city of Jaipur "a terrible dump." In an interview with London's Guardian newspaper he said that Sata once asked him "what would you be if you weren't white?"